Hello and welcome to Zena ‘n Zaatar! 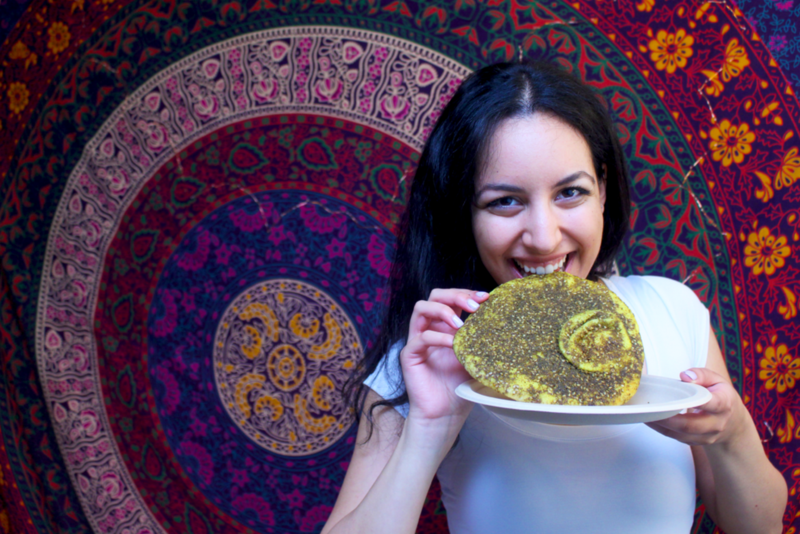 I’m Zena (zeɪnə | زينة), a language nerd, dancer, Zumba instructor, pizza enthusiast, and of course, recipe innovator. 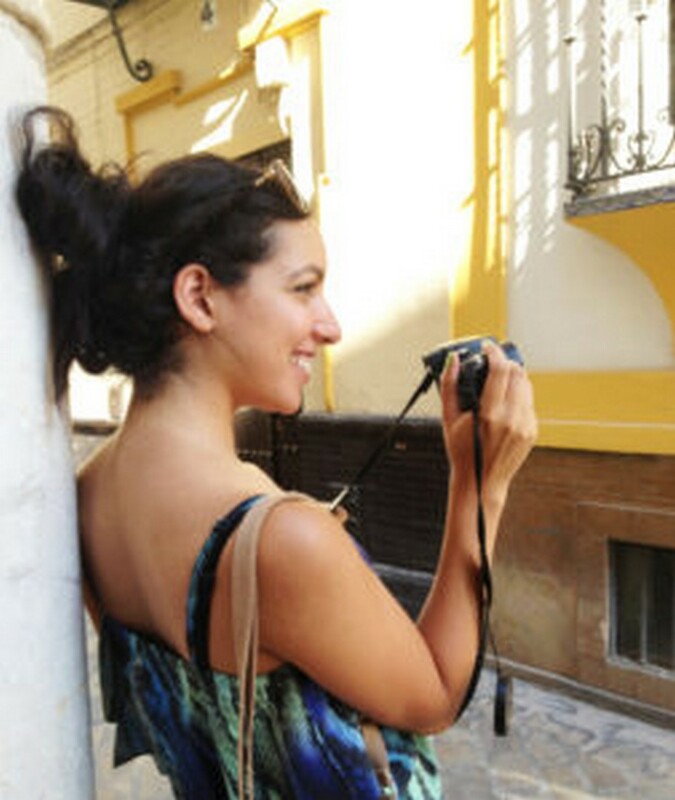 The inspiration for this blog’s name came from a simple Arabic dip commonly eaten for breakfast or as a snack, “Zeit wa Zaatar,” or “olive oil and zaatar.” Two deceivingly basic ingredients, joined together when scooped by warm pita bread, create a whimsical, yet lasting impression on one’s tastebuds. I strive to recreate this beautiful simplicity through my blog by designing easy-to-follow recipes with simple ingredients, that fuse together to create complex, irresistible flavors. For as long as I can remember, I have never ceased to be entranced by the culinary magic that happens in the kitchen. Whether I was being called into the kitchen by the amazing aroma of crispy onions frying in olive oil before dinner, or the heavenly scent of orange blossom, hinting to me that my mom might be making rice pudding for dessert… once I entered the kitchen before a meal, nothing could draw me away from contributing to delicious culinary creations, until it was time to eat them of course. Coming from Syrian-Palestinian descent, I was constantly exposed to the Mediterranean cuisine growing up. My mom is a doctor, so I learned to love fruits and vegetables early on. I have always loved food, but when I came to college, I struggled to find a healthy balanced diet, overwhelmed by the sudden freedom and infinite options I had available for me to eat! After researching for a while, I decided that going vegan was not only the best option for my health, but also for the environment and its inhabitants. I also was enticed by the challenge of making healthy vegan food that even the pickiest members of my friends and family, barely any of whom are even vegetarian, would love. I created this blog to share my love of food, cooking, and art with others. In addition to designing simple and nutritious recipes, I want to share the fragrant flavors of the Mediterranean cuisine I grew up to love so much with those who have never experienced such rich, but delicate, and simple, yet flavorful dishes. For those familiar with Middle Eastern cooking, I want to introduce innovative, playful combinations of traditional and modern flavors that even Arab grandmothers could take inspiration from. I love traveling, and so many of my recipes are also inspired by other countries I have been fortunate to explore the cuisines of. A few more random facts about me: I am based in Northern California and am happy to have lived here my whole life. I love dancing, and my passion for dance since I was young is what led me to start teaching Zumba. In addition to English, I speak Arabic, French, and Spanish. And I am a chocoholic. 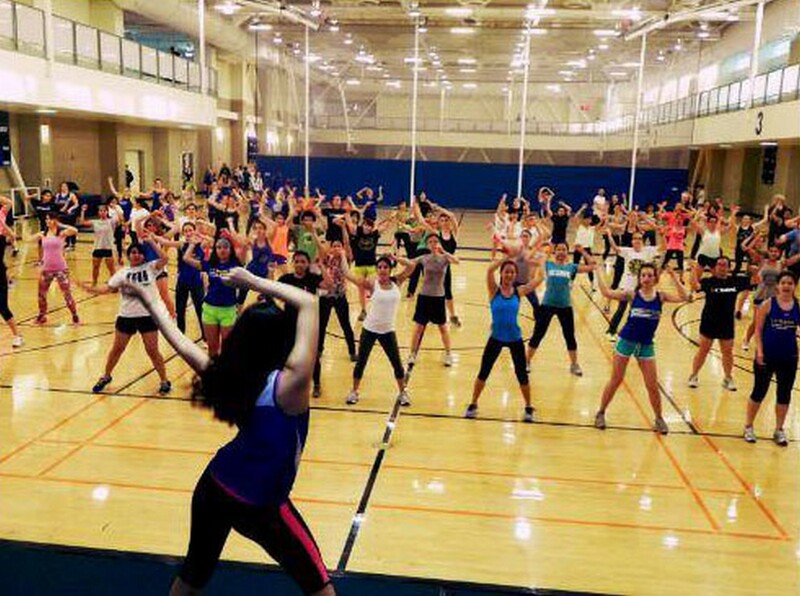 Teaching at my gym’s first ever Zumbathon, where over 100 people showed up for a giant dance party! Thank you so much for stopping by and taking the time to read all about me and my blog; I hope you enjoy it and come again soon!